SteelSeries surprised us with a little tease 5 days ago about their new successor of the Rival 300 under the name Rival 700. This Mouse features the Pixart PMW 3360 Sensor and this mouse is the first to introduce this specific sensor that goes up to 16000 DPI which is literally unusable unless we reach the support for 4 12K displays and it will still be considered too high. 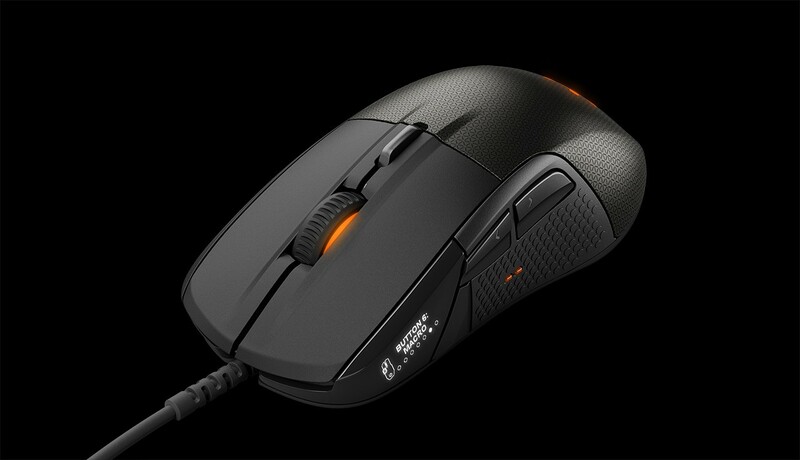 This mouse comes with a Matte finish on the top and a rubberized thumb grip where you can find the two well-sized buttons and two little orange buttons that control the OLED display. Yes, an OLED display in mouse! SteelSeries integrated an OLED display that has various uses and you have full control over them. And the biggest baller: SteelSeries is making a CS:GO integration to make this Mouse Statrak (TM). Yes! Now your mouse counts your headshots in CS:GO! And you can get fancy and customize it because the plugin is opensource and was released by the dev team a while ago. Have companies gone too far in terms of cosmetics in out peripherals? From insane RGB lighting on everything except for seats (Yet…) to OLED displays on mice? Why Razer Blade Stealth Is The most effective laptop You’ll Ever need For work And Gaming?